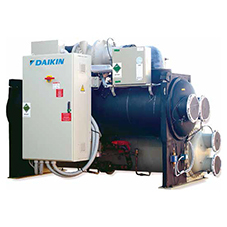 Daikin Applied has launched its EWAD-TZ B air cooled inverter screw chiller range. Introduced as an upgrade from Daikin Applied’s TZ and CZ ranges, the TZ-B now covers cooling capacities from 170kW up to 1.1MW. Offering EER values up to 3.9 and ESEER values of up to 5.7. 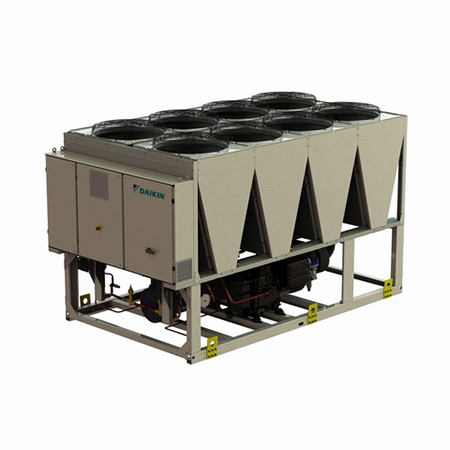 The TZ-B range combines a screw compressor design and integrated inverter technology with VVR technology along with the latest micro-channel condenser coil technology to meet the challenges of greener building efficiency. The range has options for three efficiency levels and three sound levels enabling customers the ability to choose a bespoke solution that suits their needs. The micro-channel condenser coils mean that the TZ-B range is typically 50% lighter and uses, on average, 50% less refrigerant when compared to a traditional copper-tube/aluminium-fin coil design. 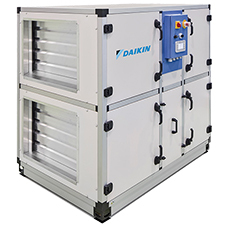 The new TZ-B chiller adds to an extensive portfolio of HVAC products offered by Daikin Applied, designed to meet a full range of applications while offering solutions that are more efficient, quieter and greener. 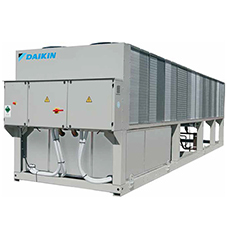 Whether used for new or refurbishment projects, the TZ-B chiller range is easy to service and maintain and comes with after-sales support from Daikin Applied Service, including advice on selection, installation, commissioning and operation.